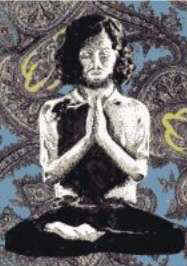 Mike Shreve was a teacher of yoga at four universities. (The portrait above was drawn by one of his students in 1970.) Then a spiritual rebirth brought him into a real relationship with God and drastically changed his heart, his life and his belief system. Read his story here. These are certainly not trifling issues, of negligible importance. These are matters of deep concern for all of us. The validity and the dependability of the doctrines we embrace determine whether or not the "seven pillars of wisdom"� we choose crumble or stand forever! So what are we going to do with all of this conflicting data? (1) Ignore-We can ignore the contradictions and refuse to deal with them. (2) Synthesize-We can make a supreme, philosophical effort to force all these views into syncretistic, monistic harmony. (3) Distinguish Right from Wrong-We can carefully review all of these concepts in order to discern that which is correct: retaining what is right and discarding what is wrong. Normally, only those who passionately love the truth find it. Because ordinarily, only lovers of truth are willing to pay the price that truth demands. And what is that price? First, it often involves becoming intensely focused on transcendental things, at the expense of sacrificing, neglecting or rising above things which are temporal. Second, it often involves a willingness to sacrifice beliefs that are dear or comfortable to us, culturally, intellectually and religiously. This is certainly not easy, but necessary at times. So pause for a moment. Recommit yourself to the role of a truth-seeker. Dare to scrutinize your own heart-then release it to explore possibilities-without the restraint of preset doctrinal biases. Purpose in your heart of hearts that whatever cost is involved in knowing the mysteries of God, you are more than willing to pay it. My hope and prayer is that your love for the truth will undergird you with strength, put the fire of discernment in your eyes, and guide you like a knowledgeable boatman in this journey of all journeys-from the dark shore of spiritual uncertainty to the bright shore of absolute assurance. Convincing myself that truth is relative felt like cutting a boat free from its moorings-with no sails, no oars, no steering mechanism and no fuel for the engine-to drift on an ocean of human speculation. If relativism is correct, why should the 'truth-seeker' confine himself within the boundaries of a single religion? If none of them has a verifiable belief system that is universally acceptable and eternally dependable, why adhere to any religious dogma? Why should a Buddhist believe in Buddhism, a Christian in Christianity, a Hindu in Hinduism, a Muslim in Islam or a Jainist in Jainism-if the doctrinal base of all these religions, as well as their ceremonial traditions, are filled with erroneous assumptions, wrong beliefs and false conclusions? If God is beyond human reasoning, and if differences of opinion concerning his nature are simply the by-product of human imagination (as relativism suggests), why should we even bother investigating the recorded explanations of various religions concerning his character and being? Eventually I realized that I had to make a choice. I had to choose between two possible scenarios. Either truth is vague, all-inclusive, fully syncretistic and doctrinal differences have no real relevance. Or truth is precise, definable and exclusive, and doctrinal differences have extreme relevance-demanding the discarding of certain beliefs in order to embrace others. If the former is true, then it matters little what any religion promotes as truth. Words and concepts are just symbolic. Wrong concepts and warped views will all blend into one Ultimate Reality anyway, like muddy rivers emptying into the ocean, to be purified in the process. However, if truth is definable and exclusive, words and concepts are of absolute importance. Something drastic happened when I dared to entertain the latter of these two conclusions as the probable scenario. Inspiration, like a mother eagle, flapped its wings without warning and threw my soul like a baby eaglet into the air, so it could learn how to fly. It wasn't long before I caught the wind under my wings. 1 The World's Great Religions (New York: Time Incorporated, 1957) p. 38. 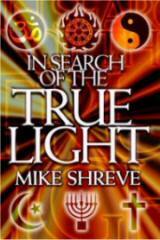 "In Search of the True Light" �2002 copyright by Mike Shreve. 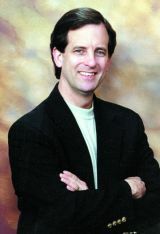 All articles unless otherwise noted are copyright by Mike Shreve. Personal Stories are the work of the individuals.